Have you always dreamed of a beautiful green lawn? Here at Gardening Gardeners we know only too well just how hard this is to achieve. However, this is exactly why you should leave your lawn care needs to the professionals. 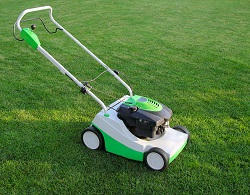 Our team of professional gardeners know just what they need to do in order to keep your lawn as green as can be. The end result is one that you will be proud to show off. This means that those summer garden parties that you have been putting off because of the condition of your garden can now become a reality. Our team of gardeners are highly trained, and they really know their stuff. Lawn care services are not the only thing that we are able to bring to our customers. In fact, we are able to offer a whole range of different gardening services. If you would like to hear more about any of the lawn maintenance services that we offer our customers, then please get in touch with us today. You can do this in a number of different ways, but the best thing to do is to give us a call today. There will be a member of staff available who will be able to answer all of your questions. You can get in touch with us by giving us a call on 020 3608 9323 today. If you have been trying to create the perfect green lawn for ages, with little to no success, then you will probably find yourself very relieved to hear that professional lawn care services actually come with a whole host of different benefits. First of all, there is the fact that you will be able to save yourself a lot of time. Keeping on top of your lawn is actually quite time consuming. However, by giving us a call, and letting us take care of the work, you will be able to save plenty of time for yourself. Secondly, you can benefit hugely from our expertise. Our team of gardeners have been in the business for years, so they really know their stuff. By leaving lawn treatment to them, you can rest assured that you will get the desired results. Another advantage that comes with leaving lawn mowing to the professionals is that you are able to save yourself some money in the long run. Taking care of your lawn properly is not cheap. However, we have the equipment and the know how that will allow you to save money. As you can see, there are plenty of reasons why you should leave the taking care of your lawn to us. As you can see, you can benefit hugely by leaving the taking care of your lawn to the garden maintenance professionals here at Gardening Gardeners. If you think that you will be able to benefit from any of the garden care services that we are able to offer to you, then there are a number of different ways that you can get in touch with us. If you would like to talk to us directly, then the best thing to do would be to give us a call. You can do this by calling us on 020 3608 9323. There are a team of professional, friendly staff numbers available, all of whom will be very happy to answer any questions that you may have about our gardening services. As well as this, they will be happy to give you any information about the services that we offer, as well as give you advice about any ideas that you might have about your garden. Give us a call today!